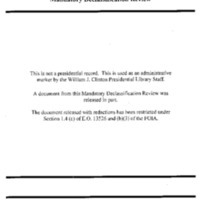 This Mandatory Declassification Review contains material on the genocide in Rwanda in 1994. 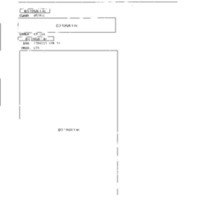 Materials include a cable regarding the Rwandan Army. 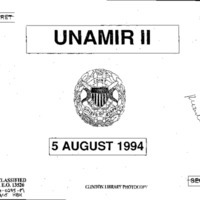 This Mandatory Declassification Review contains material on the genocide in Rwanda in 1994. 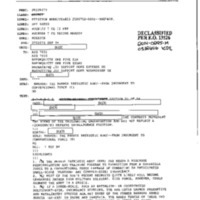 Materials include cables from September through December 1994 reporting on developments in Rwanda. This Mandatory Declassification Review contains material on the genocide in Rwanda. Materials include a report on Rwandan refugees and a Joints Chief of Staff briefing paper. This Mandatory Declassification Review contains material on the genocide in Rwanda. Included are reports, papers, cables on the military, political, and humanitarian situation in Rwanda and the neighboring countries in 1994.